Behold a tale of 2 URLs. 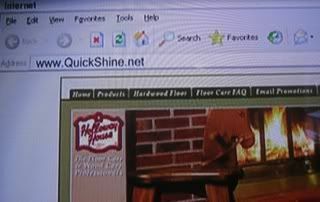 The first (above) was shown being typed in to the address bar about halfway through the commercial with a voiceover saying "go to QuickShine.net." Then the second URL (below) appears at the bottom of the screen and remains for the duration of the spot. alllowercase and dubs make this URL tough to make out -- especially with a leading "q" that could be mistaken for a "g." These guys should've quit while they were ahead. 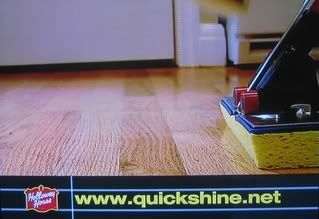 Instead they are a shining example of how a Good URL can go Bad.